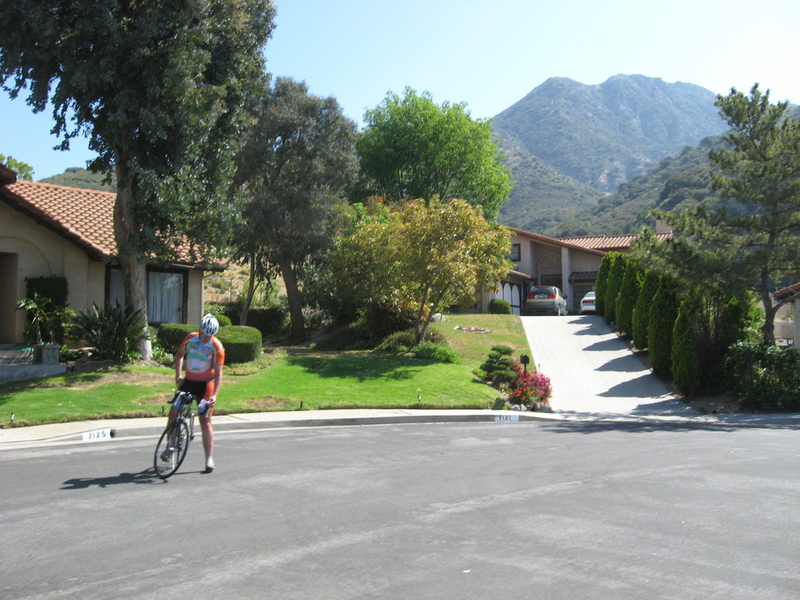 Sunday’s bike ride was my route up to Tujunga to see the house where “E.T.” was filmed. It’s at the top of a very steep hill, which is the real point of the ride. The last time we did this route was last summer on a very hot weekend. This time it was hot, but not nearly like last year. We started out from the park and rode up into Altadena. Then over to La Cañada. It was there that Don spaced out and ran into a jogger. The jogger was fine, but Don fell and hurt his knee. So after a quick cleanup, he headed back home. We continued on, up the hill. In Montrose, we saw a deer trotting down the street, followed closely by a truck from L.A. County Animal Control. The deer turned off down a side street, and the truck followed it. 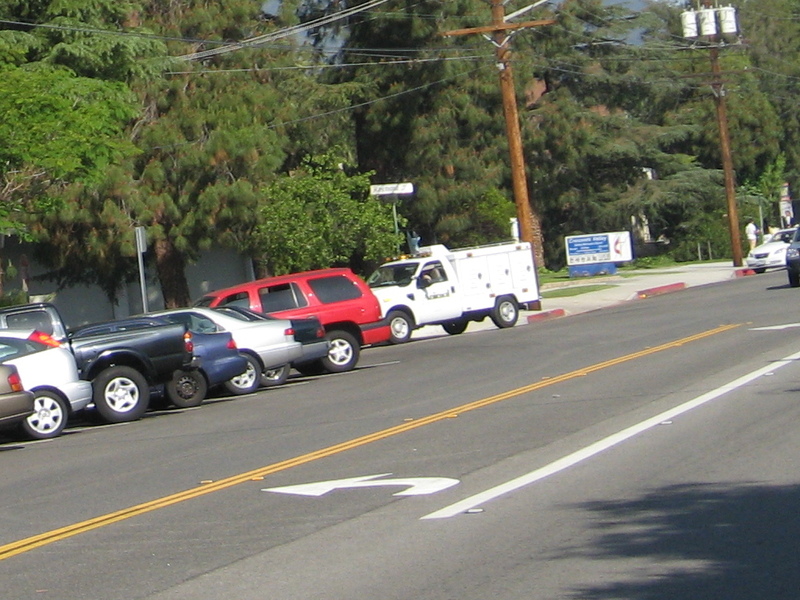 Heading up La Crescenta Blvd, we ground up the long hill. Then John’s chain started skipping. We had a look at it and saw that one of the pins was coming out, and the chain was about to break. So he turned back. 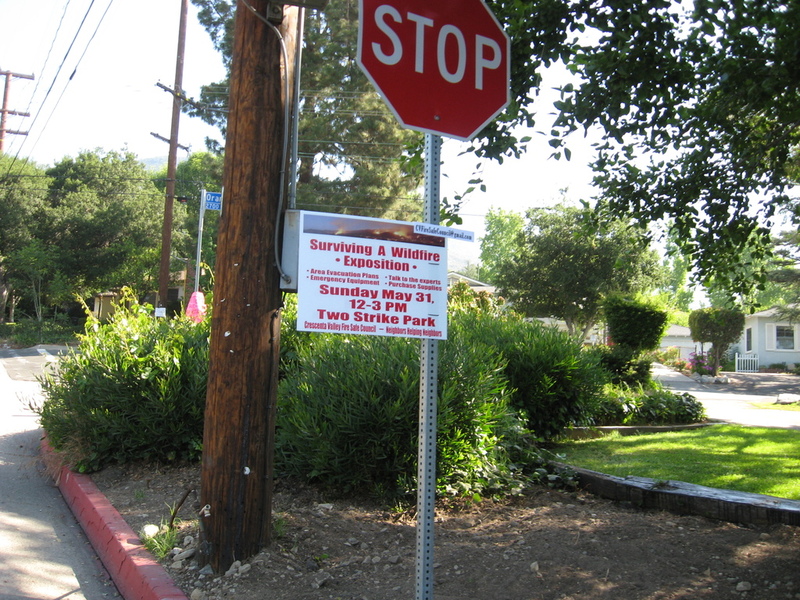 When we got to the top, we rode across into Tujunga, and finally up the hill to Elliott’s house. At the top, we looked at the view for a few minutes before going back down. Then it was all downhill back to Montrose and and our snack stop at Oven Fresh. 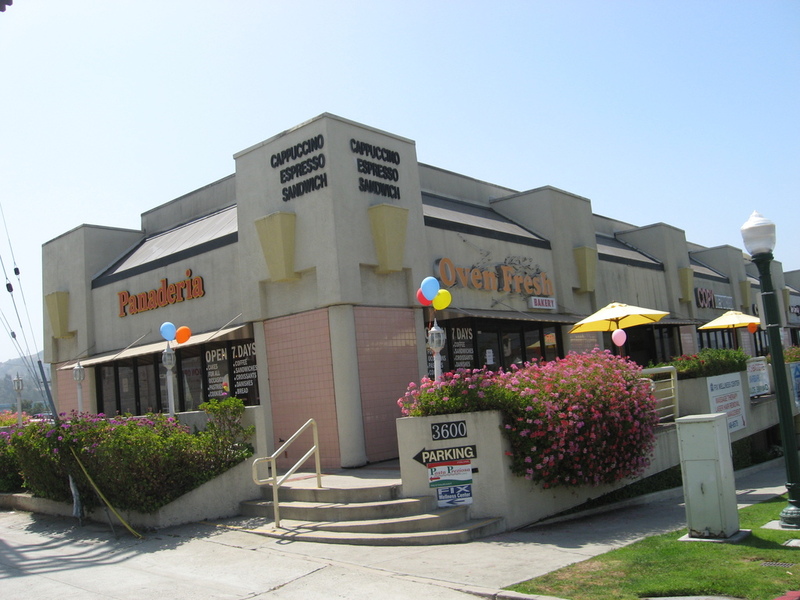 The most fun thing about Oven Fresh was always the orange juice machine. It was terribly entertaining to watch, and the juice was good. But this time, it was gone. They said that it had broken down, and that they were not going to fix or replace it. So I guess that about wraps it up for that place. After the snack stop, we went down the long hill into Glendale, and then turned and rode Chevy Chase back up and over to La Cañada again. Then east into Pasadena, and back to the park. It was a nice ride, and we did something like 3,700 feet of climbing.